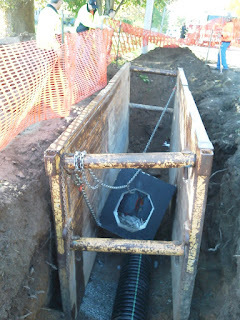 Two Penfield Town employees were seriously injured today while attempting to place a catch basin into service on Baird Rd. The accident happened early morning when something failed with the new catch basin while it was beginning lowered into place causing one of the chains to come lose and swing out of control into two employees. 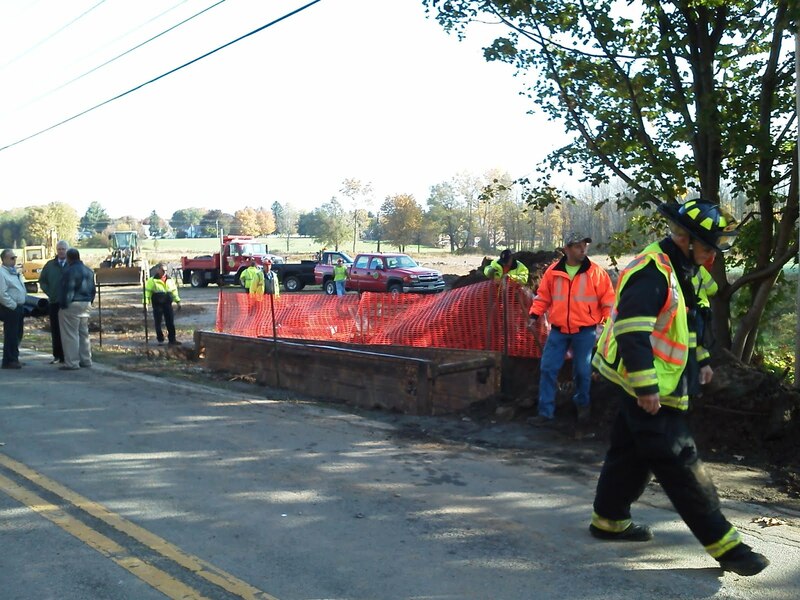 The employees where struck and thrown against the steel shoring knocking one unconscious. 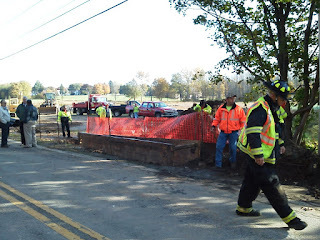 Penfield Firefighters and Ambulance arrived to find both victims still at the bottom of the trench. While Firefighters and EMS Ambulance members attended patient injuries and packaged the victims in stokes baskets the tower ladder was set up and used to lift each patient out of the trench. The victims were taken to local hospitals and as of noon the local news reported that the employees were doing well.